When the officer reacted in anger, he made a fatal error. One week later, a small group of protesters reacted in anger, and they made another error. 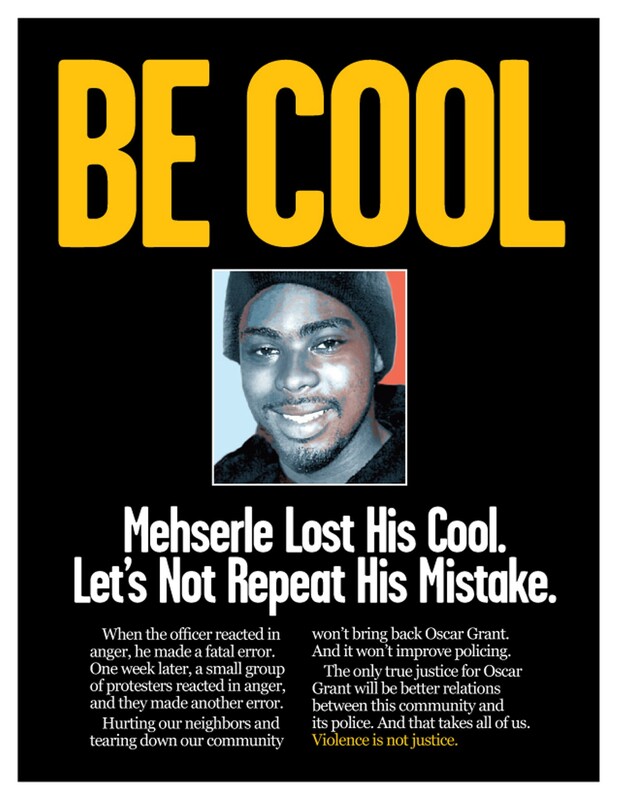 Hurting our neighbors and tearing down our community won't bring back Oscar Grant. And it won't improve policing. 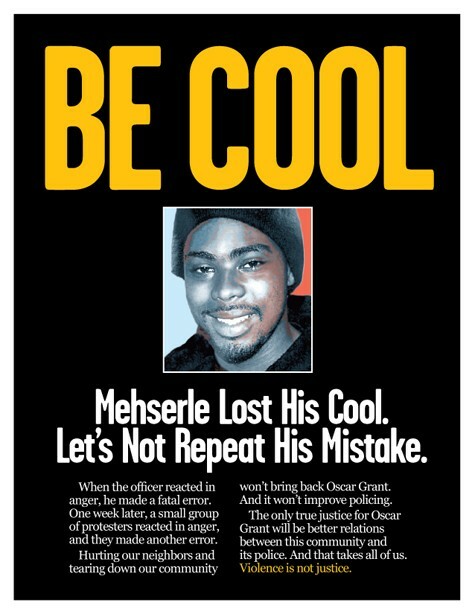 The only true justice for Oscar Grant will be better relations between this community and its police. And that takes all of us. Violence is not justice. 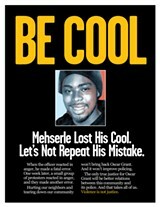 Click here to download a letter-sized version of this poster. The judge's ruling and words from the bench are a travesty that will not be forgotten by African Americans. The mayor gets to raise her flag (and middle digit to Mark Davis and the NFL). But now it’s back to work. Send us your essays and letters!